GUANGZHOU, China, May 18, 2018 /PRNewswire/ — GAC Motor, China’s fastest-growing automaker, has announced the establishment of GAC Motor International Company (the “International Company”) to manage GAC Motor’s overseas businesses. 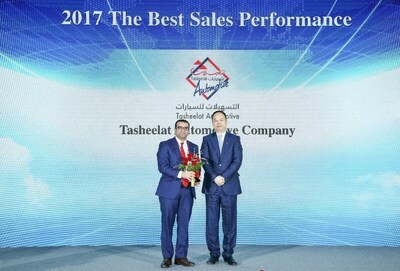 It is a critical part of the automaker’s global expansion strategy to strengthen cooperation, enhance competitiveness, and better improve its potential for sales growth in the global marketplace. The International Company will provide GAC Motor with an integrated platform for overseeing all of its international subsidiaries and regional offices including its U.S. company, as well as managing its assembly plants. It will also help GAC Motor improve its strengths in terms of organizational structure and personnel. GAC Motor International (HK) Ltd will also be established as an international trading platform of the company’s export business. It will facilitate the business policy execution and the market campaign support as well. GAC Motor is now operating in 14 countries and regions, and multiple-acclaimed elite vehicle models like the GS4 and GS8 have been released globally. The company plans to reach 18 countries by the end of 2018 with 4 new models, including the GS3, GS7, GA4 and GM8 to be launched into the overseas market. Regional offices will be set up in the Middle East, Africa, South America and other regions when appropriate in order to better support the business development with local distributors. A subsidiary in Russia will soon start operation as well, further reaching out to the Eastern European market. In addition to ramping up product development and expanding the rage of vehicles that it offers, GAC Motor is actively presenting its technologies and high quality, trendsetting products at renowned international auto shows. After successful exhibitions at NAIAS and NADA, GAC Motor will participate in the Paris Motor Show, Los Angeles Auto Show and the Moscow International Auto Show later this year to further enhance the brand image persistently. GAC Motor has already made several achievements in building a global research and development (R&D) network as well. Its Silicon Valley R&D center is now acting as a platform for gathering talent, integrating advanced technologies and strengthening cross-border cooperation. 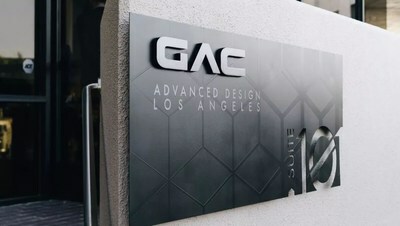 The established GAC Los Angeles Advance Design center is responsible for developing forward-looking vehicle designs, interactive features and market-relevant branding, while the Detroit R&D center is currently in its preparatory stage and will focus on developing vehicles and technologies for the North American market. 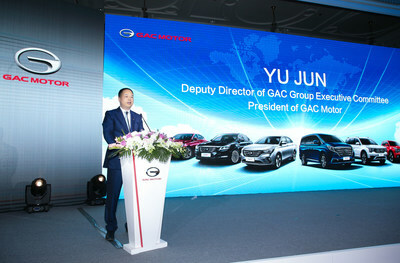 GAC Motor’s global talent search initiative is also an integral part of its global expansion strategy. This June, GAC will embark on its third overseas talent recruitment tour in Europe cities, including Stuttgart, Munich and Paris, to attract bright talent in the areas of R&D, smart technologies, vehicle design, production management and marketing. “It is our goal to become a world-class brand and a global enterprise that contributes to the development of the future of mobility. We will continue to explore the global market, working with our partners, suppliers and distributors to support the development of our business,” said Yu.